J14 is not just a magazine. It is a thrilling read which brings you the surprise by the real happenings and stories. 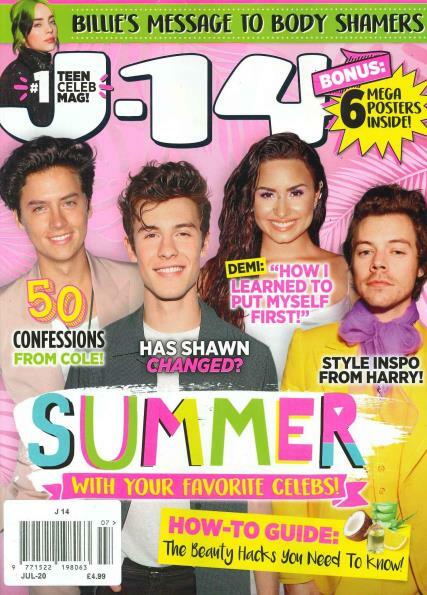 Buy a single copy or subscription to J 14 magazine. It is published especially to draw teen’s attention towards the latest fashion trends, entertainment news about teen celebrities, beauty tips for the girls, music, most talked about movies, TV shows and real life quizzes and polls to keep the action on. Most of the teen girls want the latest of the fashion and beauty and want to be updated about what is happening around the world. It is the magazine for them. The most wanted celebrity among teen girls is Justin Bieber and if we look at inspiration wise, Lady Gaga and Katy Perry do all the magic to the teen girls. It provides you the latest pictures of your favorite celebrity. They also have posters for your room. Besides all the celebrity news, it also comes with beauty tips to keep your skin healthy and also some diet tips which tell you the right and wrong of the food. When J 14 talks about fashion it is no less than a famous fashion article. J 14 keeps you updated with the latest trends in fashion, cosmetics and accessories.